The area around my apartment has been effectively a building site for three or four years and I am really pleased by the fact the majority of projects will be completed by the end of this year. 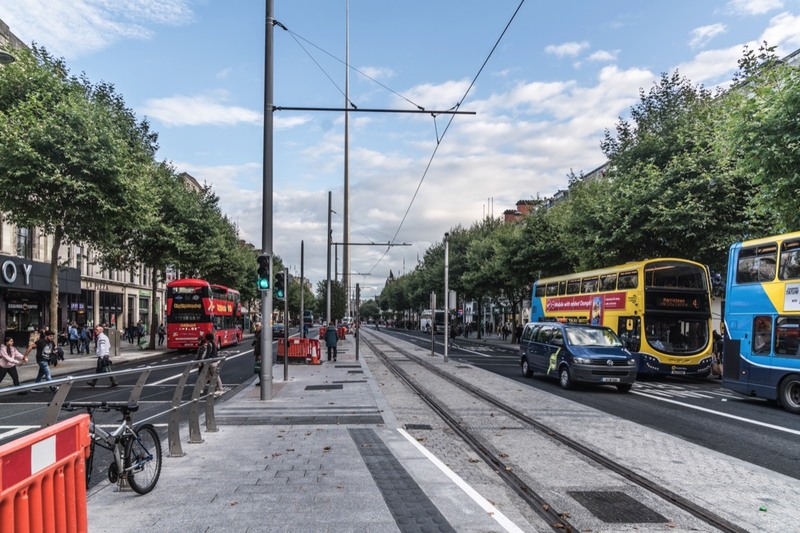 There will be two tram stops on O’Connell Street. Physically the two lines are connected so if necessary trams can be switched but the passenger services will not be connected. For example passengers wishing to travel from Stephen’s Green to Heuston Station must get of the Green Line tram at the GPO Stop and walk a short distance to Abbey Street [Red Line] to complete the journey to Heuston Station. Basically this is necessary because to do otherwise would now allow the operation of two high capacity lines [If you take the DART as an example there are two destinations on the North Side so the number of trains arriving at either Howth or Malahide is less than the number of trains passing through Tara Street.